Tiebreakers can drive your staff crazy! You’ve been there… All is going great at the tournament and suddenly you find yourself in an hour long discussion as to why that “other” team is advancing instead of Johnnie’s team. Sometimes the tiebreakers can be so complicated that 3/4 of your staff are unable to answer that question. Under pressure it can be an extremely difficult question to answer. Our system applies YOUR rules and advances the correct team, but now we are going the extra mile to make sure participants leave your event with a good feeling. For each group we “walk through” the calculation. 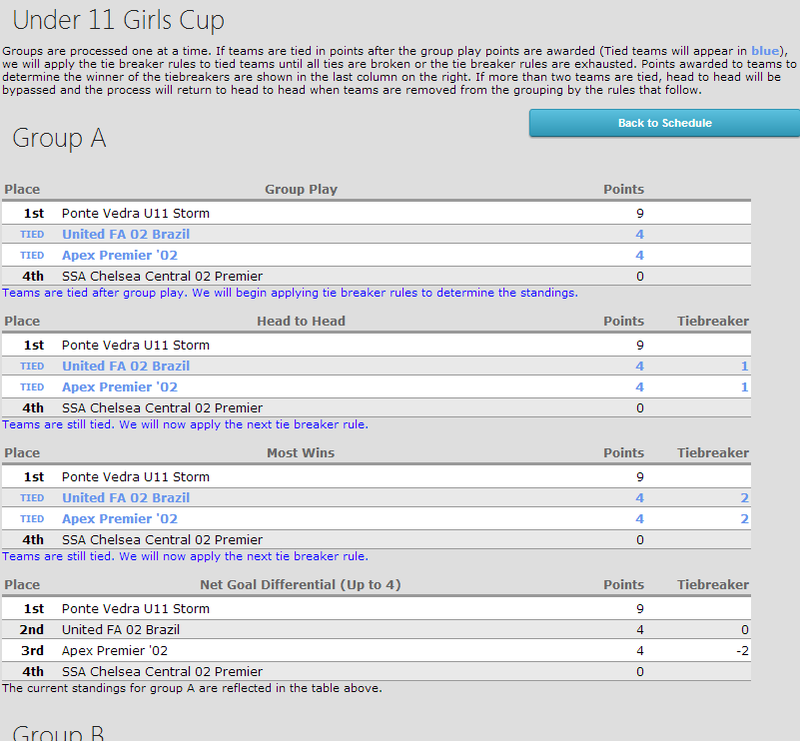 In the example above, the system applies group points and finds that two teams are tied. It then applies “head to head” and they are still tied (the two teams tied each other). It then applies “Most Wins” and they are still tied. 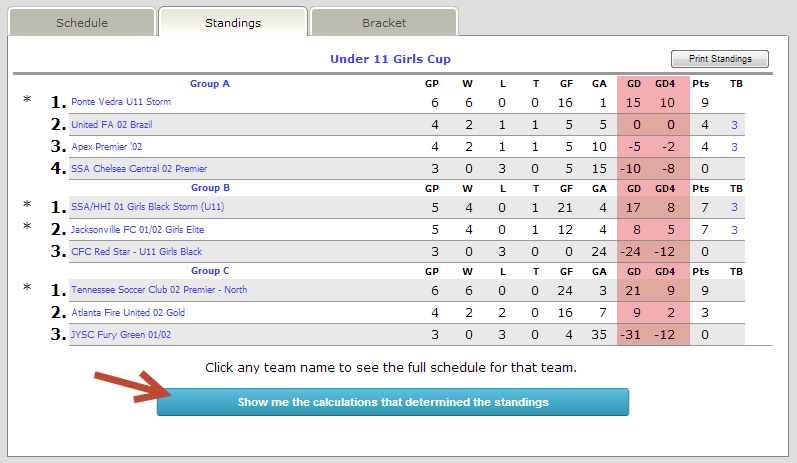 Finally, Net Goal Differential (max 4) is applied and the tie is broken! At SincSports we don’t stop working to make your life easier!